'madness' is a 'Multivariate Automatic Differentiation' package for R. It allows one to compute and track the derivative of multivariate to multivariate functions applied to concrete data via forward differentiation and the chain rule. 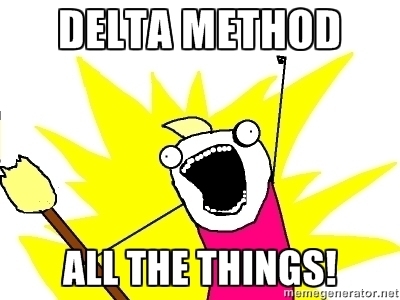 The obvious use cases are for computing approximate standard errors via the Delta method, possibly for optimization of objective functions over vectors of parameters, and party tricks. I don't know. Let's perform a bunch of simulations to see if the Wald statistics are OK. We will create a population with 5 stocks where the true Markowitz portfolio is -2,-1,0,1,2. We will perform 1000 simulations of 1250 days of returns from that population, computing the Markowitz portfolio each time. Then take the difference between the estimated and true Markowitz portfolios, divided by the standard errors. 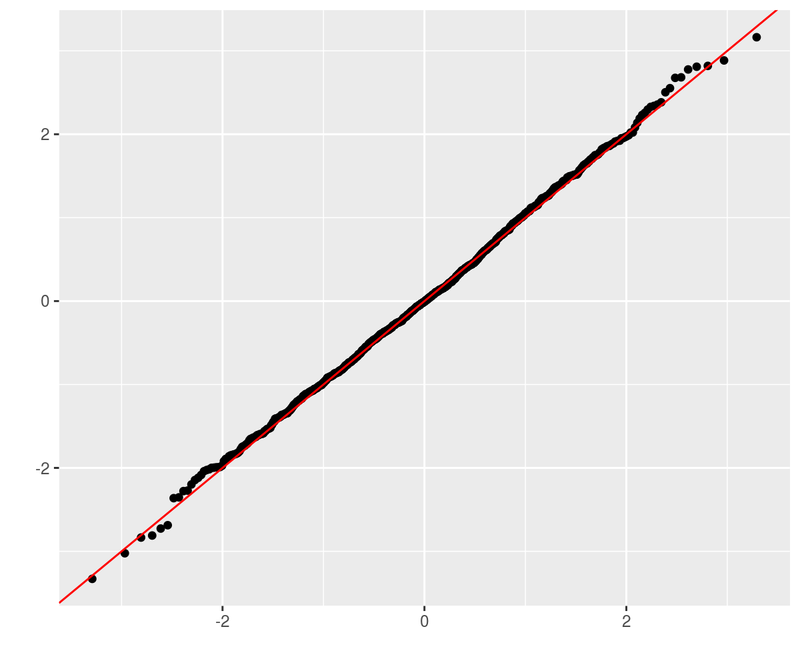 This should be approximately normal, so we Q-Q plot against normality. LGTM. Consider the case of a 10-vector drawn from a population with covariance matrix whose largest eigenvalue is, say, 17. Broken example. Am I really checking what I intended? Broken derivative code. Easy to check. Failure to take symmetry into account. Derivative equal or near zero, requiring second term expansion in delta method. Enough already, bring me some Scotch! A bizarre question one could ask of this data are whether the taste characteristics are related to the geographic coordinates of the distilleries? One way to pose this is to perform a linear regression of the taste values on the geographic coordinates. 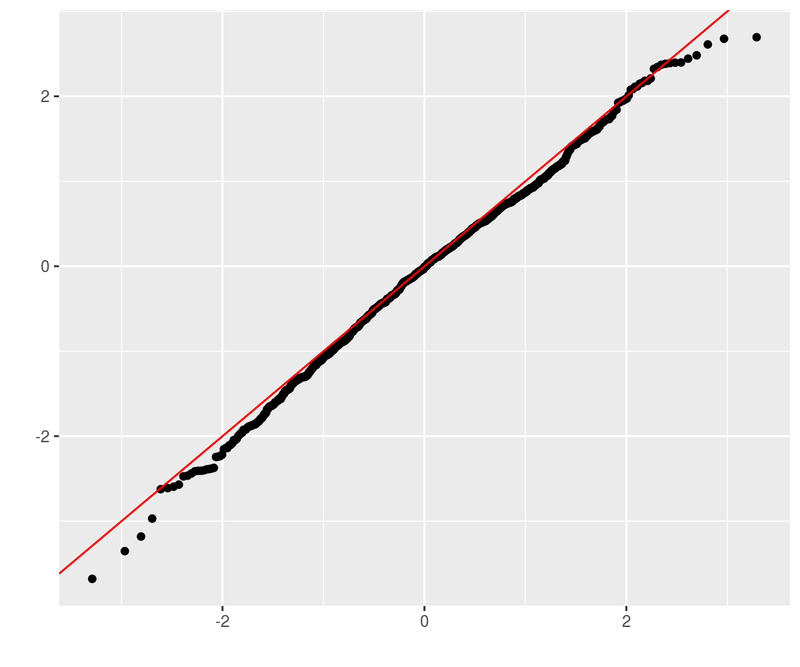 This is a many-to-many regression. The Multivariate General Linear Hypothesis is a general hypothesis about the regression coefficients in this case. 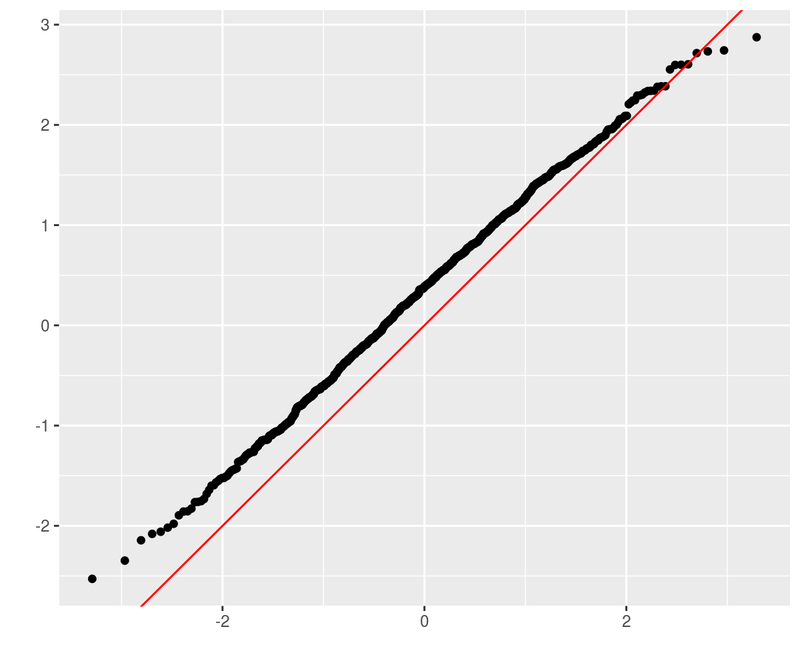 The 'usual' application is the omnibus test of whether all regression coefficients are zero. The MGLH is classically approached by four different tests, which typically give the same answer. First, we grab the geographic and taste data, prepend a one to the vector, take an outer product and compute the mean and covariance. The MGLH statistics can be posed in terms of the eigenvalues of a certain matrix. Here these are statistics are computed so as to equal zero under the null hypothesis of all zero linear regression coefficient from geography to taste. We get the approximate standard errors from the delta method, and compute Wald statistics. # this is not the LRT, but log of 1/LRT. sue me. These all cast doubt on the hypothesis of 'no connection between geography and taste', although I am accustomed to seeing Wald statistics being nearly equivalent. This is still beta code. We also have the estimated standard error covariance of the vector of MGLH statistics, turned into a correlation matrix here. The four test methods have positively correlated standard errors, meaning we should not be more confident if all four suggest rejecting the null. Some functions implicitly break symmetry, which could cause the differentiation process to fail. For example, the 'chol' function is to be applied to a symmetric matrix, but only looks at the upper triangular part, ignoring the lower triangular part. This is demonstrated below. For the moment, the only 'solution' is to enforce symmetry of the input. Eventually some native functionality around symmetry may be implemented. The functions twomoments and theta respect the symmetry of the quantities being estimated. This code is a proof of concept. The methods used to compute derivatives are not (yet) space-efficient or necessarily numerically stable. User assumes all risk. Derivatives are stored as a matrix in 'numerator layout'. That is the independent and dependent variable are vectorized, then the derivative matrix has the same number of columns as elements in the dependent variable. Thus the derivative of a 3 by 2 by 5 y with respect to a 1 by 2 by 2 x is a 30 by 4 matrix.